Coleen was born in Black Oak July 7, 1936, to the late Alva and Katheryne Lewis Evans. She worked at U.S. Shoe in Vanceburg, Williams Shoe in Portsmouth, Ohio, was a self employed business woman, and operated Of Something Else #2 in Garrison for 40 years. 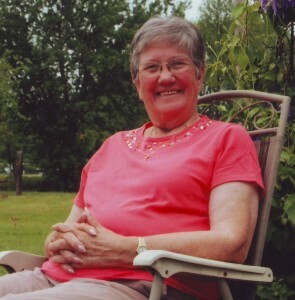 She was a member of Holy Redeemer Catholic Church in Vanceburg since 1967. Surviving are three daughters, Kay Cooper Huepenbecker of Saint Petersburg, Florida, Vicki Lynn (Darrell) Pridemore of Barstow, Texas, and Jama (Mike) Fioritto of Oregon, Ohio; one son, Stephen Floyd (Lori) Cooper of Portsmouth, Ohio; seven grandchildren; five great-grandchildren; and one great-great-grandchild also survive. Preceding her in death besides her parents were her husband of 42 years, Floyd “Rusty” Cooper, whom she married on April 25, 1953; one sister, Betty Lou Logan; two grandsons, Jeffery and Jason Huepenbecker; and one granddaughter, Rebecca Huepenbecker. Services were held Wednesday, January 6, 2016, at 11:00 a.m. at Holy Redeemer Catholic Church in Vanceburg with Father Adam officiating. Burial was at Skidmore Cemetery in Garrison.